I believe films are one of the ultimate art forms out there of our modern age. It’s a mix of theater, paintings, poetry, literature, music, and much more. I know there’s a lot of bad films out there, but when it’s done just right, you can’t deny the true art that was involved in the film’s creation. I am almost always thinking about movies. How they were made, how they made me feel a certain way, how they entertained me. There’s no question why I decided to become a filmmaker. Recently, while working on a new website for my company and talking with friends about our favorite movies, I’ve been thinking a lot about what my top 20 list would be. I recall that I had created one a few years ago at my last day job, and that it was really fun to see what everyone else’s lists were. I dug mine up and made a few changes, but it’s mostly the same. You can really tell about someone’s taste in movies just by seeing their list! What can you tell about me with my list? What are your top 20 favorite movies of all time? 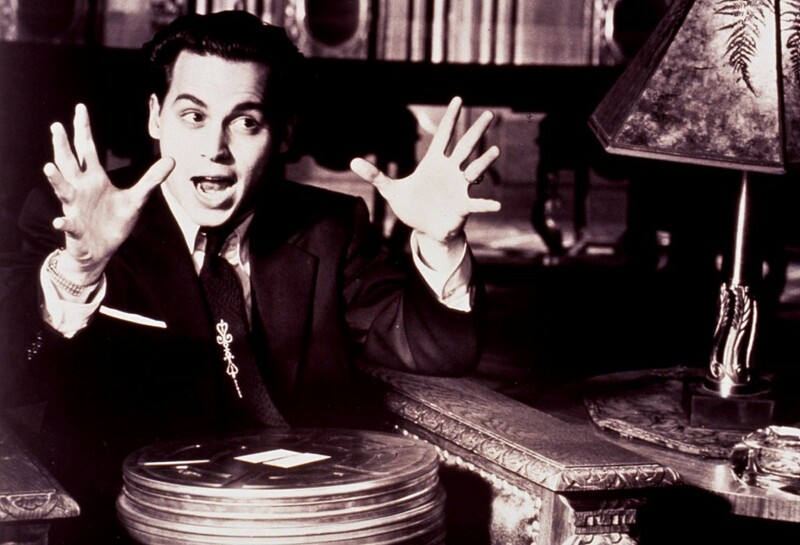 Johnny Depp as Ed Wood, this is one of Rene’s and my favorite pictures depicting the excitement and magic of movies! This is great! I added Mother to my instant queue a few days ago—maybe I’ll watch it sometime this week. Also, I LOVE Love, Actually and The Apartment. Billy Wilder is probably my favorite director: Sunset Boulevard, Sabrina, The Apartment, and Double Indemnity are all (in one of Ed’s terms) stone cold classics. Wow, I must be a major fail of a film lover since I’ve only seen 1 of your top 5 films, and I saw Babe when I was a young’un! Totally adding these films to my list of to watch. Wow, not even a year later, I’m already needing to update this list. It’s getting tough, I might need to make a top 25 or 30 list soon. Plus, now I’m wondering why I never had Casino on there, I like that movie more than I give it credit for.